Are you sharing your ministry information? As missionaries we try to share information with our supporters on a regular basis. Every letter you write can also be a reminder to you in the future of how God has worked in your life and ministry. Our missionary predecessors kept paper journals. Today we have journals in the form of ministry websites and blogs. 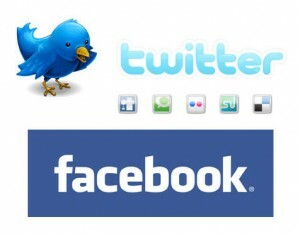 We also share information about our work through social networking tools such as Twitter and Facebook. These are all great ways to share with supporters how they can pray more effectively for you and the work on the field. When sharing information online, one of your biggest concerns should be about accessing that information in the future. For example, my prayer letters are written on my computer and shared in a variety of ways to thousands of people by way of the postal service, email, blog posts and Facebook. My mission board office also makes a copy of all my letters and puts them in a file. If I needed to know what I wrote in a prayer letter in November of 2001, there is no question in my mind that I would be able to get a copy of that letter. Are you in control of your content? Be careful when posting all of your information into Facebook or other services where you do not control the storage of the data. The concern is not just a matter of privacy (though that should be considered). Rather, the bigger problem is, how will you get or save that information when it scrolls off the bottom of the screen? Most of the status updates that we post to Facebook are mindless drivel that do not need to ever be read again. But wouldn’t it be nice to be able to search back through everything you wrote online and find out what was happening in your life last September? If the only place you are putting your content is Facebook, there may come a day when you will never be able to see what you wrote online. The recent demise of Vox and the loss of free Ning communities reminds us that we need to have some space that gives us complete control over our content. This is not to say that you shouldn’t use these services, but that you should rethink the way you use them. You need to keep important content in a place that is under your control. If something big is going on in your life now, you won’t be able to find it on your Facebook wall in a year. Not everyone needs a blog. Those who don’t are the ones who are also not posting anything to Facebook, Twitter and other social media sites. However, if you are sharing information with your friends inside Facebook, why not share that information on a blog first and then pull it into Facebook? You will have a copy of the information that you own (assuming you keep control of your blogging content) and all your friends will be able to read and comment on your writings inside Facebook. Consider using your ministry website as the hub for all of your information online. Use other services to drive your friends, family and supporters to a place that will still exist after the fad of a specific social media site has passed.